This classic and elegant handmade Swarovski white pearl pendant necklace is a perfect bridesmaid gift. 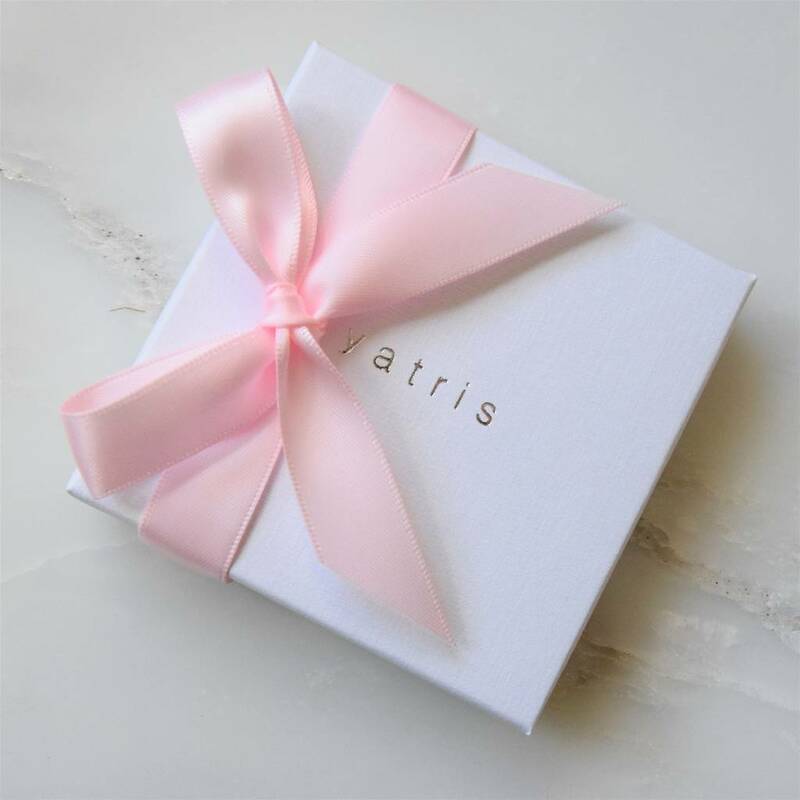 The Swarovski pearl necklace comes in a Yatris presentation box with a pretty satin ribbon included free of charge, all ready to be given to the recipient. 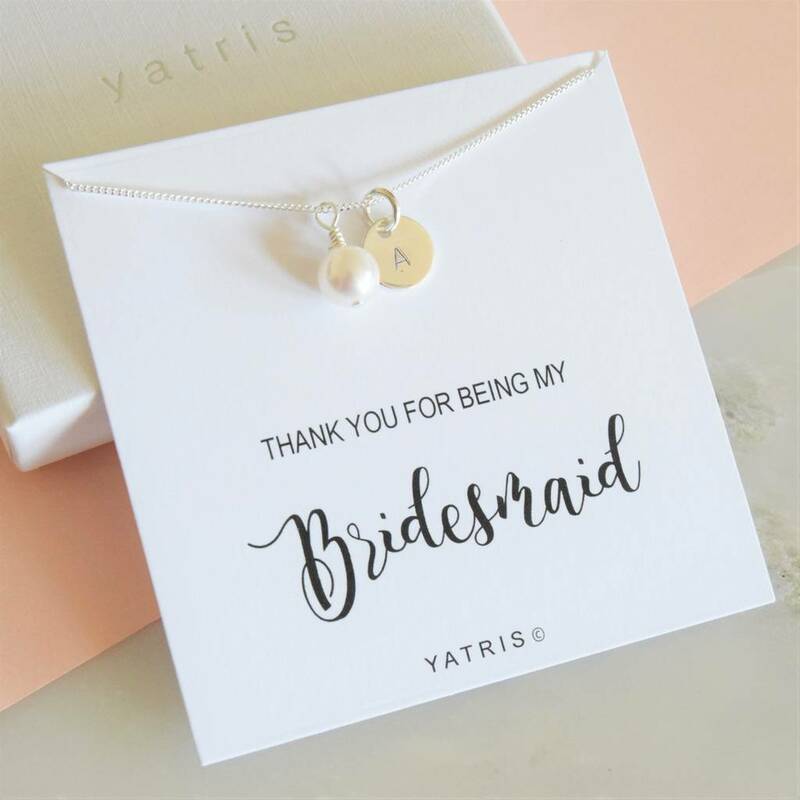 There is the option to add a personalised sterling silver initial disc. 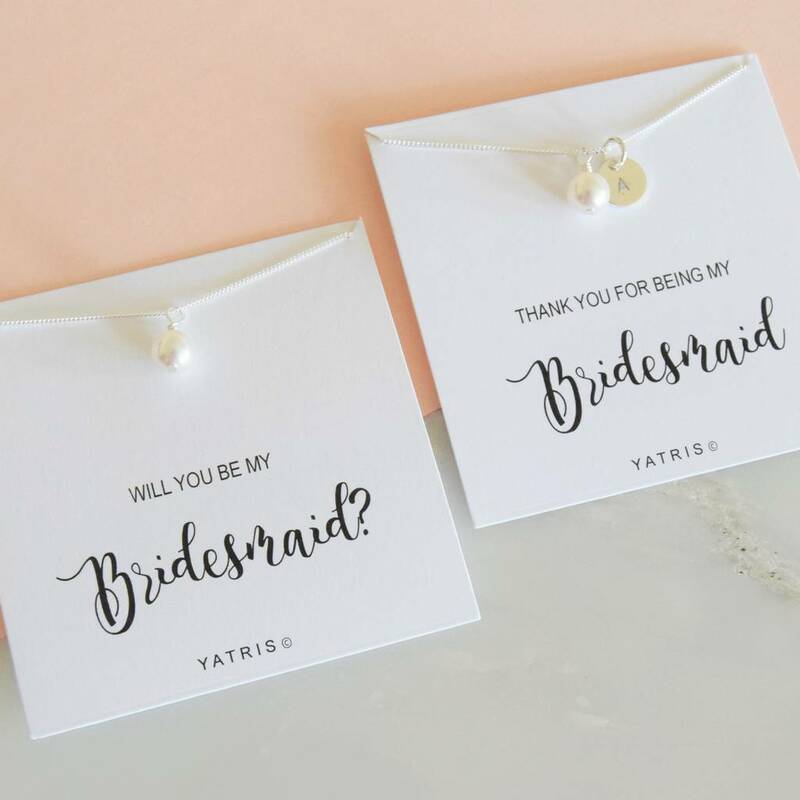 "Will you be my bridesmaid/maid of honour/flower girl?" 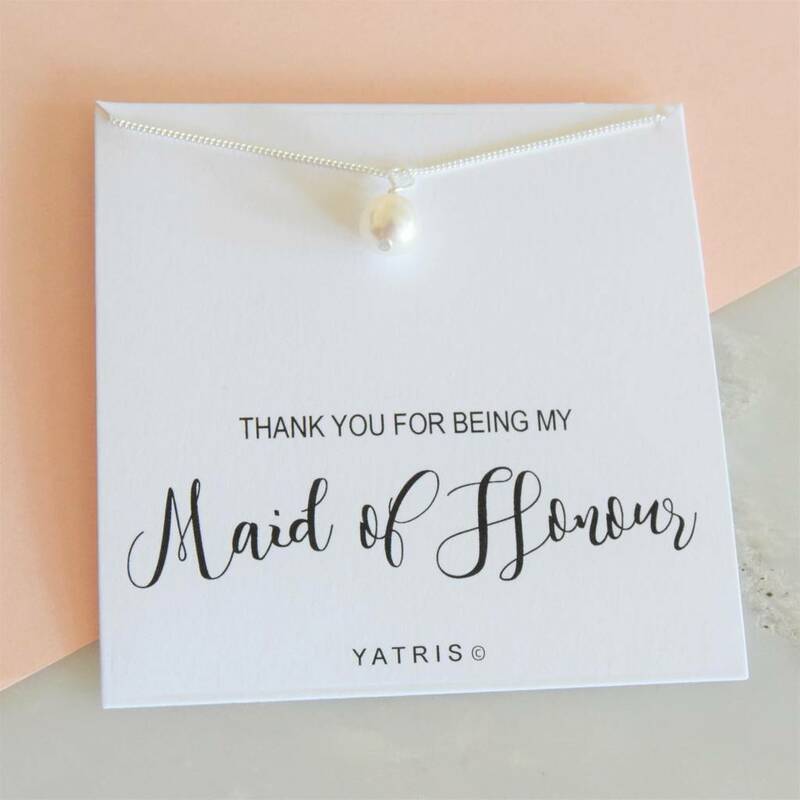 or "Thank you for being my bridesmaid/maid of honour/flower girl". 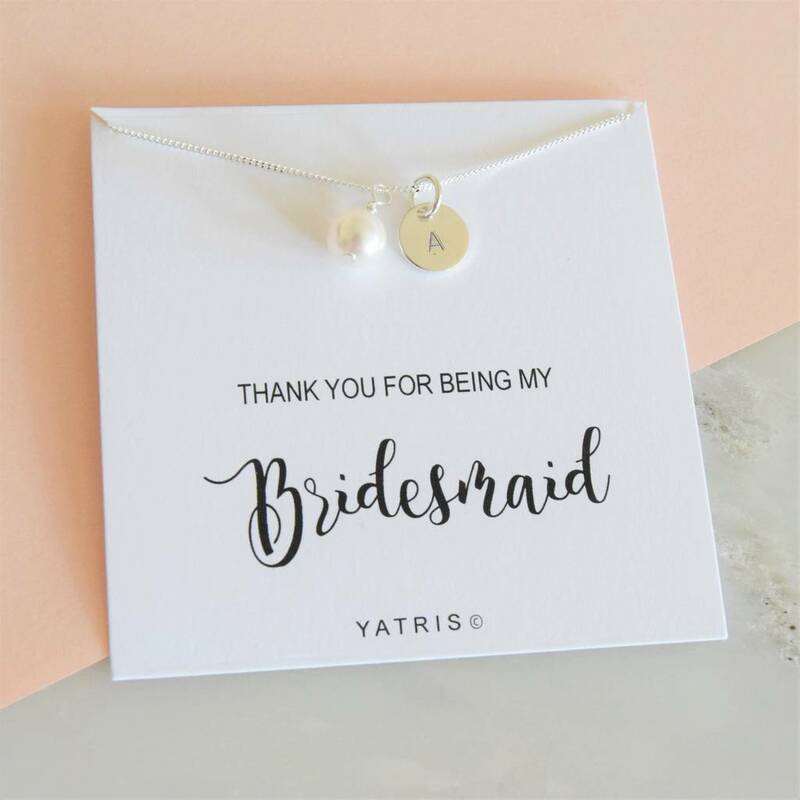 A beautiful keepsake that your bridesmaid will treasure for years to come.